Typical types of phytoplankton along the Western Antarctic peninsula. While I wait for the seas to calm, I wanted to explain in a little more detail what I'm doing with all those CTD water samples. My team studies phytoplankton (algae), the tiny plants in the seawater that use sunlight as energy to make food and oxygen. While plants on land can be very large (for example, trees), the plants in the ocean for the most part are small with an average size being only around 50 microns in length. We are studying the phytoplankton in the Antarctic because they are the base of the food web and our data suggests that the number of phytoplankton is changing as the West Antarctic peninsula is warming over the last few decades. 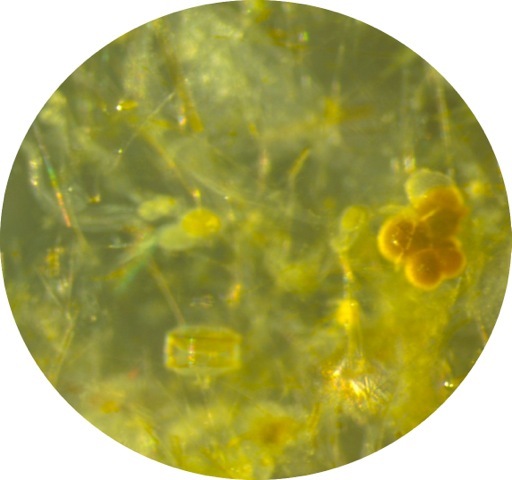 Phytoplankton are found in the upper ocean where there is sufficient light to promote photosynthesis. Check out this sample from our 200.0.40 line on our sampling grid. 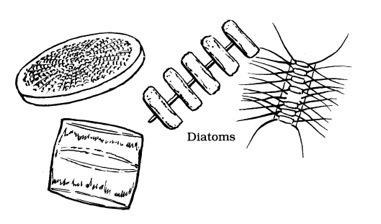 Can you recognize any diatoms? We recently left our most southern sampling station near Charcot Island. Here is what a water sample from the canyon looked like. 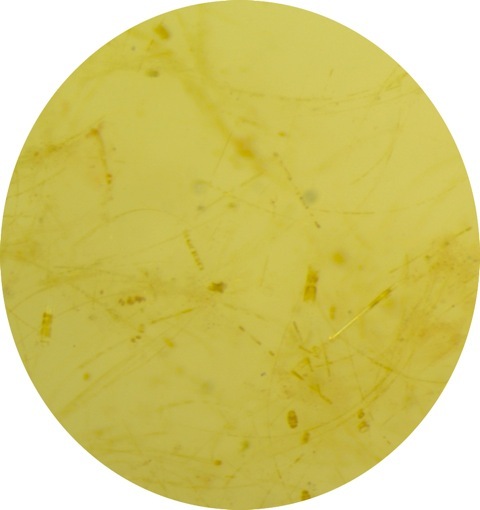 If you would like to learn more about Antarctic phytoplankton check out this page. How can we catch such tiny things? We take a sample of water from the CTD and extract the plankton by passing the seawater through tiny filters! It starts with water from the CTD being poured into the top of a funnel. Then, a vacuum pulls the water through a special filter. The water ends up in a flask but the filters capture the plankton. These filters are frozen and sent back to Rutgers University for further examination when the crew returns to the states. Examining how much phytoplankton is on each filter informs scientists about what concentrations of phytoplankton are in the water in the area, where the water sample was collected from and what depth the sample was taken.